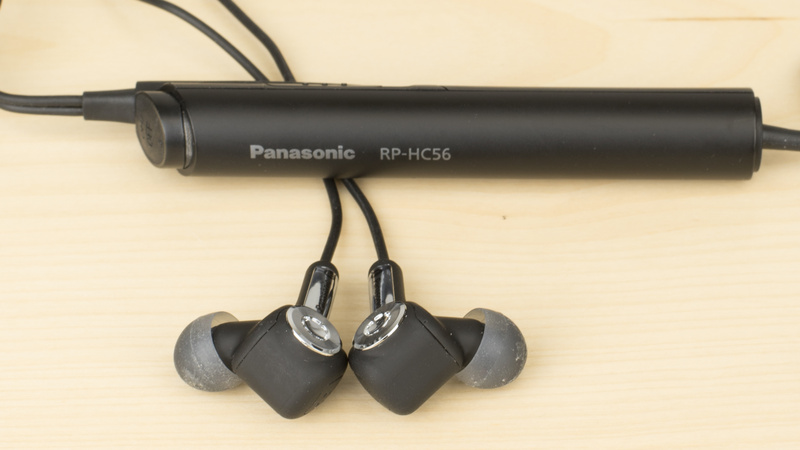 The Panasonic RP-HC56 are above-average noise cancelling earbuds. 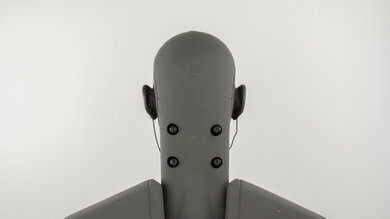 Their noise isolation is excellent and the audio profile is relatively balanced and woks well for most music genres. 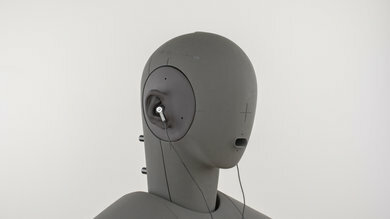 Unfortunately, they distort audio easily at higher volumes and the in-ear fit might not be the most comfortable. Thin cabling with no adequate audio controls. The RP-HC56 are stylish-looking earbuds. The well-designed pen shaped control module looks good and is easily portable. The earbuds are also stylish but unfortunately do nothing out of the ordinary to provide a stable fit or additional comfort. The control module also lacks decent control options apart from the volume slider, which is disappointing. The RP-HC56 are quite stylish, thanks to the well-crafted, pen-shaped control module and the cube-ish angled earbuds. 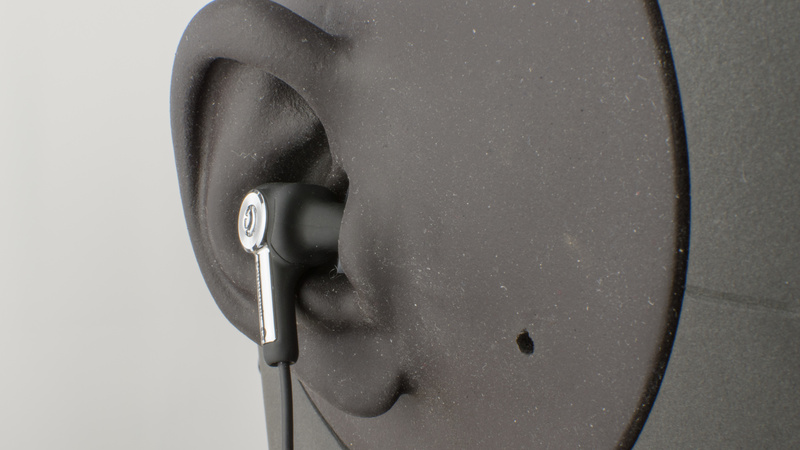 They have an all black color scheme with small metallic accents on the back of the earbuds, which looks appealing. Comfort is average for the RP-HC56. The ear buds are angled but the in-ear design offers nothing out of the ordinary. They're also not as comfortable if you can't find the right fit. Control options for the RP-HC56 are lacking. The control module only has one on and off button and a volume control slider. There are no other in-line controls, which is disappointing. These headphones are moderately stable because of their lightweight design, and tips that fit deeply into the ear canal, which is hard to dislodge. However, they don't offer any special stability tips to prevent them from falling out during physical exercises. The long cable and control module are also prone to get tangled or hooked on something, Which can yank the headphones of you ears. 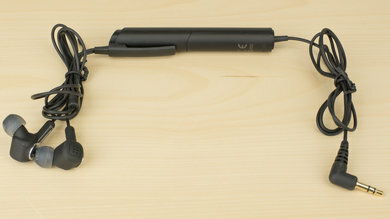 The RP-HC56 are portable headphones. They don't take too much space and will comfortably fit into your pockets, purse or bag. 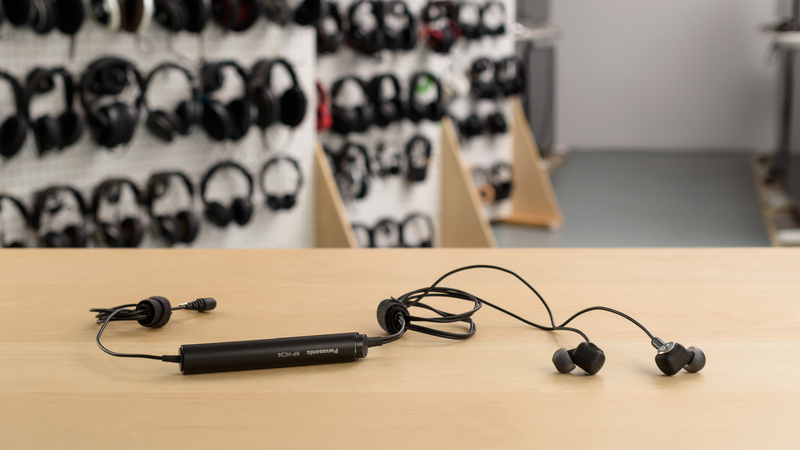 The control module makes them a little larger than basic in-ear headphones, but it's a long pen-like tube that doesn't add too much additional bulk to the design. 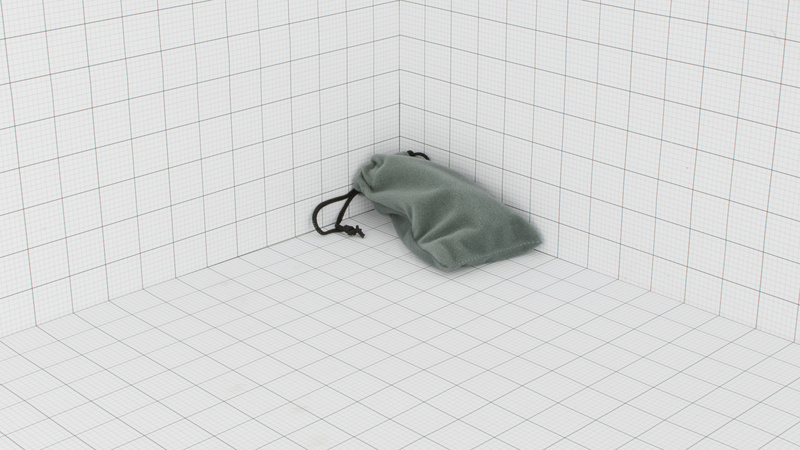 Comes with a drawstring pouch that will protect the headphones from damage and does not add much bulk. It's small enough to fit into a pocket. Sadly, it will not shield the headphones from physical stress, hard falls and water damage. Build quality is quite decent. The stylishly designed control module is thin, portable and feels solid. The battery compartment is well placed and easy to use. The earbuds are not too large and are angled to fit better within the ears. The cable is, however, pretty thin and the length of the control module makes it susceptible to bending if put in a tight pockets. 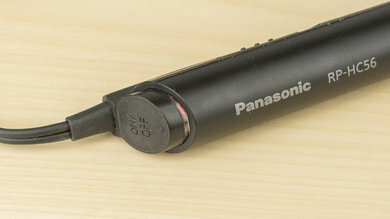 The Panasonic RP-HC56 are a poor sounding pair of closed-back in-ear headphones. They have a very good bass, a very good mid-range, but a poor treble. Additionally, their bass is very slightly lacking, their mid-range a bit forward and boxy sounding, and their treble is uneven, piercing, and very sibilant. Also, they audibly distort in the treble range which make their sound unpleasant and harsh, and don't have a good soundstage either. On the plus side, they perform very consistently across multiple users. Stellar isolation performance from the RP-HC56. 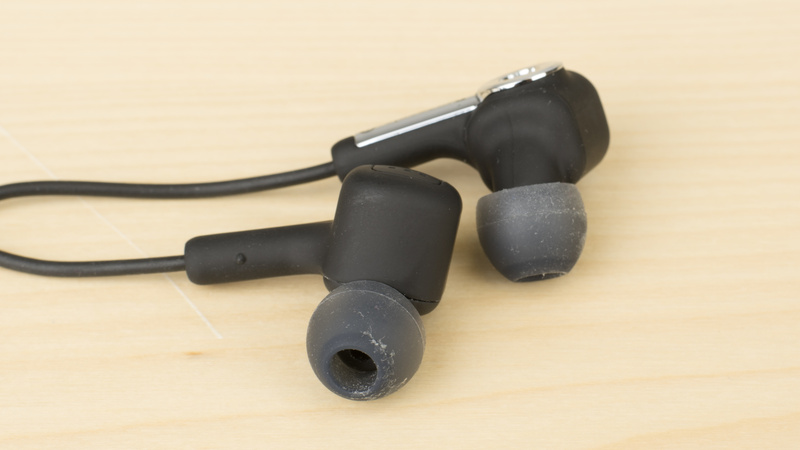 The in-ear earbuds provide a great seal as long as they are able to fit comfortably within the ear canal. The active noise cancellation is also top-notch and when combined with the passive in-ear isolation blocks an outstanding amount of ambient noise. The RP-HC56 will not disappoint in the isolation department and would be ideal for use in noisy environments. One of the best performers for isolation. 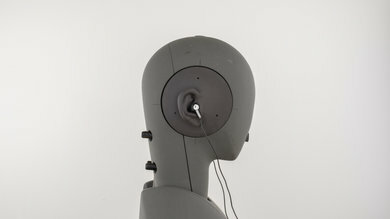 Isolation starts at 20Hz with more than 10dB of reduction which is great for this range. It passes over the -20dB mark at 100Hz and closes in on -45dB at 15KHz. 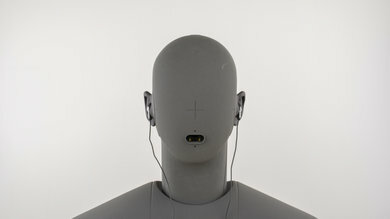 The weak spot, seemingly typical of in-ear headphones, is the mid-range, where these headphones still achieve a minimum of 11dB of reduction. 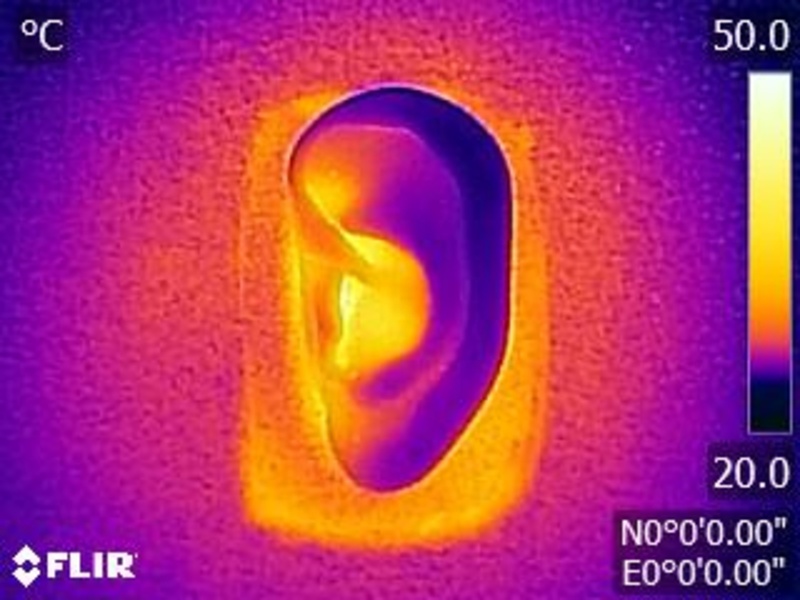 Passive isolation on these headphones is very good too, outperforming some other headphones with their noise-cancelling engaged. 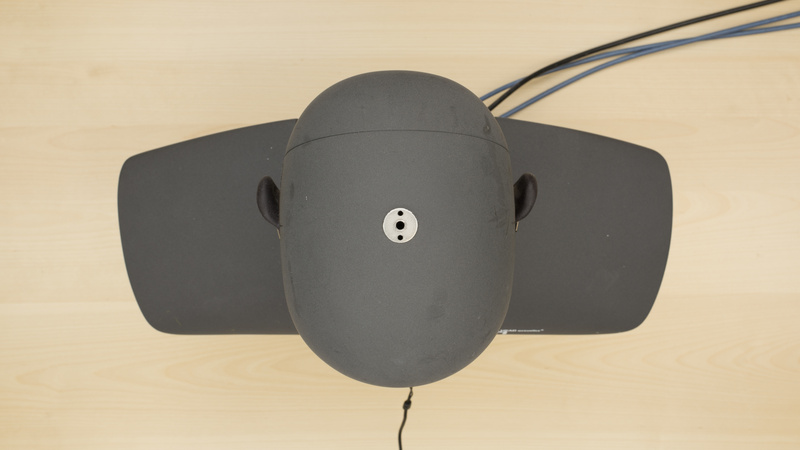 Users should be aware though, with ANC On, touching the headphones in certain areas while trying to push them in the ears could make the headphones produce a high-pitched tone. Very good leakage performance, typical of in-ear headphones. The profile is very narrow-band too, limited to 3KHz-7Khz. 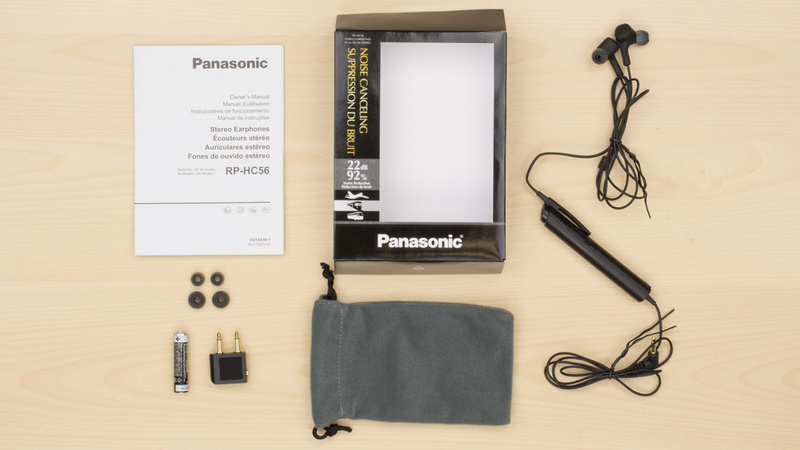 The Panasonic RP-HC 56 are not the most versatile headphones. They only have noise canceling as an active feature. Hence no wireless or app score. Luckily due to their relatively small size and limited active components, their battery life last quite long at more than 79 hours for a single AAA cell. The RP-HC56-K have a surprisingly long battery life that will last well over a weekend's worth of continuous play time. So they will be great headphones to take on a camping or road trip where you don't have access to stores to purchase another AAA. Unfortunately, they don't have any battery saving features. They also can't be used passively when the batteries are dead unlike other models in the RP series. 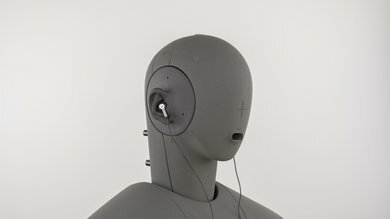 They perform moderately well in most use cases and environments, which make for decent everyday headphones. Mediocre for critical listening. Decent audio reproduction but the closed back in-ear design lacks a little openness to create a spacious and natural sounding soundstage. Suitable for commuting. They're small, portable and have a strong noise isolation performance. They will reduce a decent amount on a busy commute. Average for sports use. They have a typical in-ear fit that's moderately stable, and they're also small enough to carry around on your person everywhere you go. Above-average for office use. They will block the chatter of a busy office and also don't leak much even at high volumes, but the in-ear fit isn't always comfortable for long listening sessions. Decent for home theater use. If you typically watch your movies on a PC or tablet than the relatively short cable and low latency of a wired connection should be good enough. 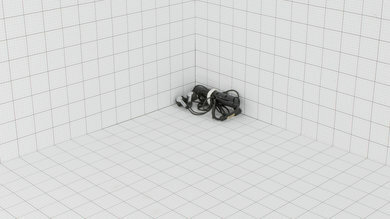 However, the cable is short and lacks range, so they won't be ideal if you do not have an extension cord.